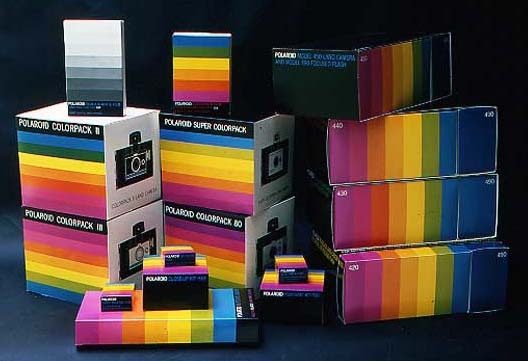 We’ve already focused on multicolored product lines and their effectiveness in product differentiation when displayed all together, but just recently it occurred to me that there was another kind of rainbow packaging in which all the refracted colors come together in a singular package design. 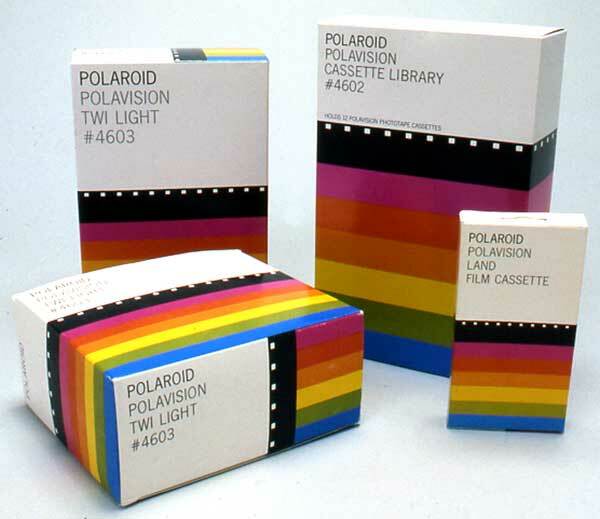 Giambarba’s package design for Polaroid explored the geometric possibilities of the company’s rainbow stripe motif in some depth for nearly two decades. 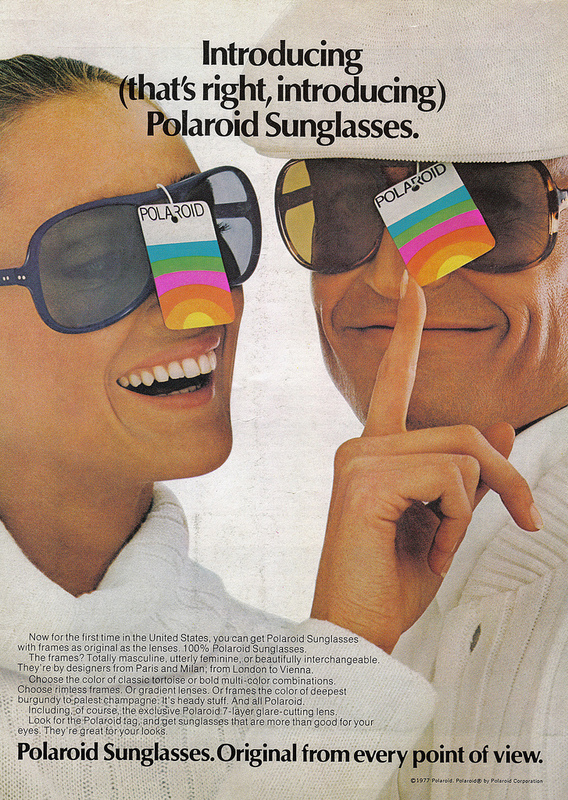 While Giambarba’s rainbow striped branding may have preceded Apple’s, there were also other rainbow-striped cultural influences which may have played a role. 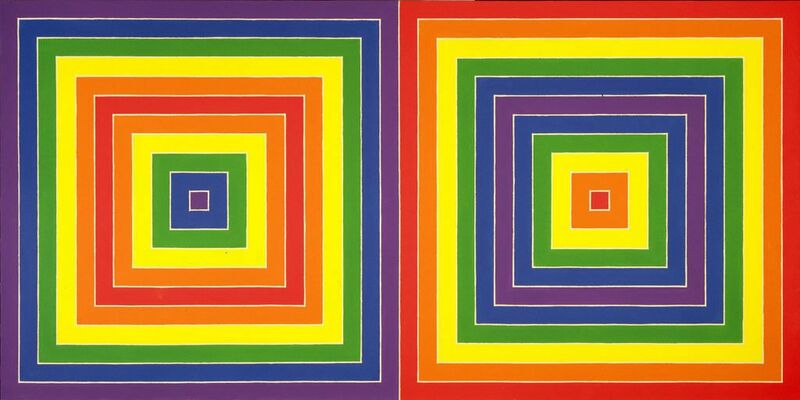 Frank Stella’s 1966 painting, Concentric Squares apparently preceded Polaroid’s rainbow striped packaging by two years. 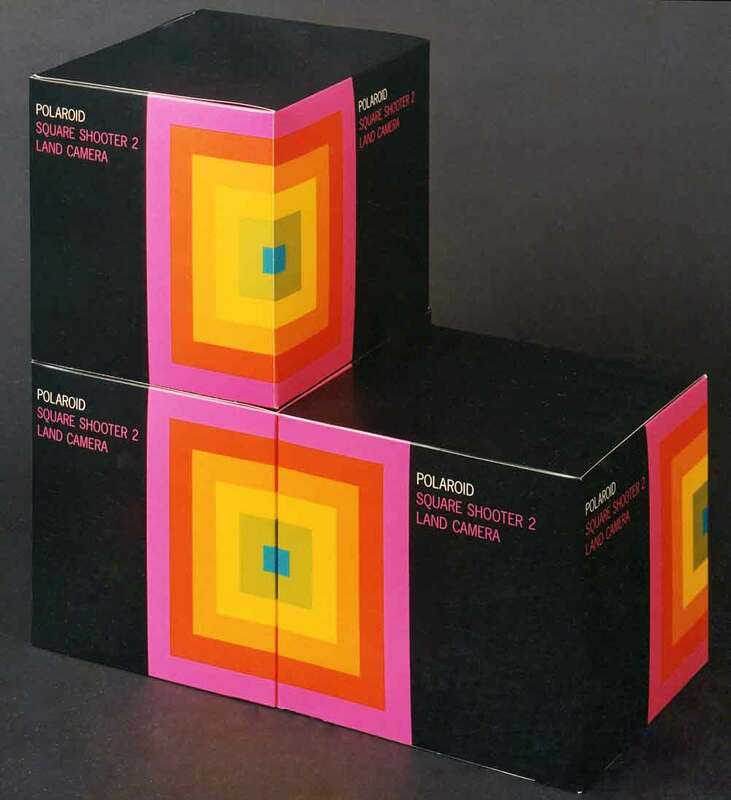 Like Polaroid and Apple, Stella’s fluorescent paintings introduced a new color capability whereas his previous paintings had been black (and white). 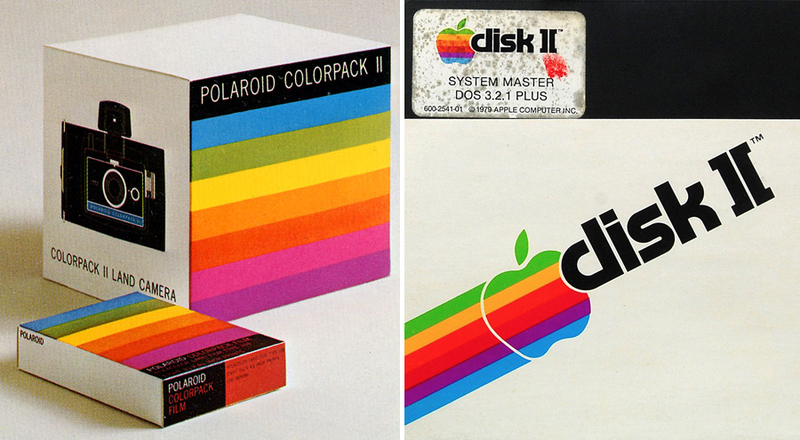 While Apple’s stripes were usually confined to the just the Apple logo, sometimes the rainbow extended further, as with this “disk II” floppy disk sleeve and the Apple disk II drive included a rainbow ribbon cable. While spectral order is specific there are choices about where to start and stop. 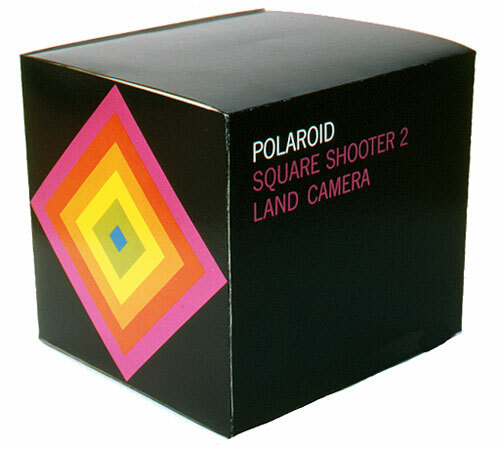 Polaroid earliest rainbow packages positioned the blue band at the top, which gave the design an abstract landscape aspect—as if the blue were sky. Apple logo was design so that the green band is at top, obviously to correspond with the logo’s leaf. 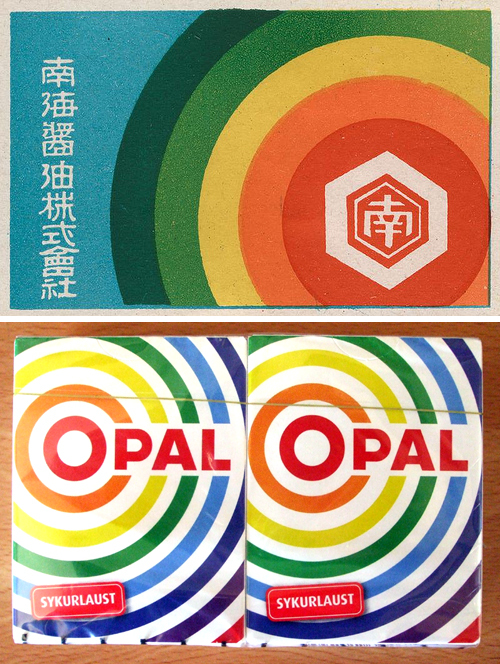 In these two examples below the concentric circles put red at the center and work outwards towards blue—making their rainbows represent of the sun.